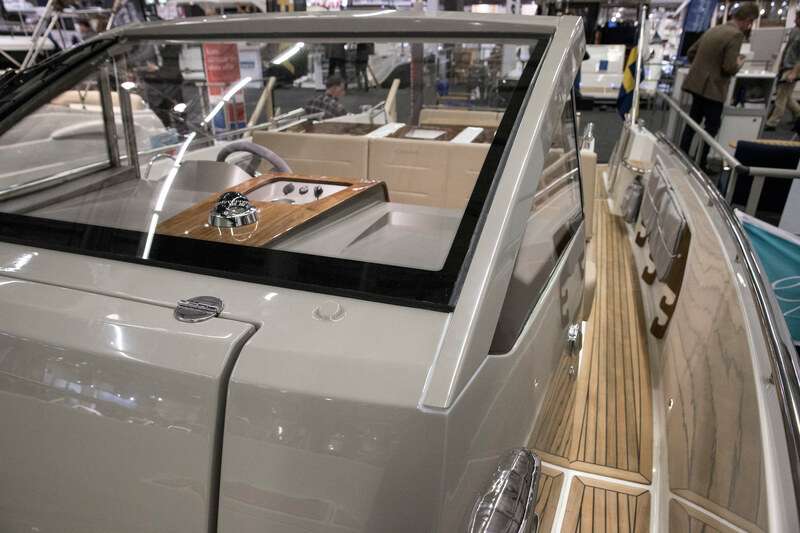 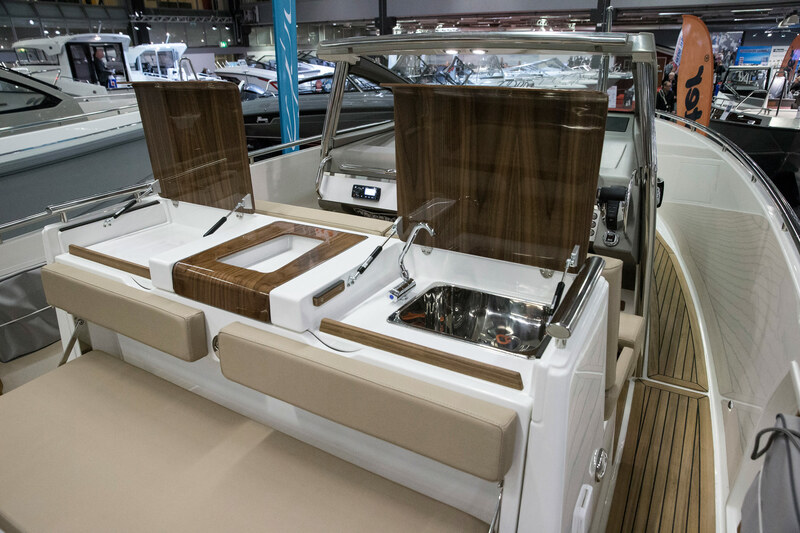 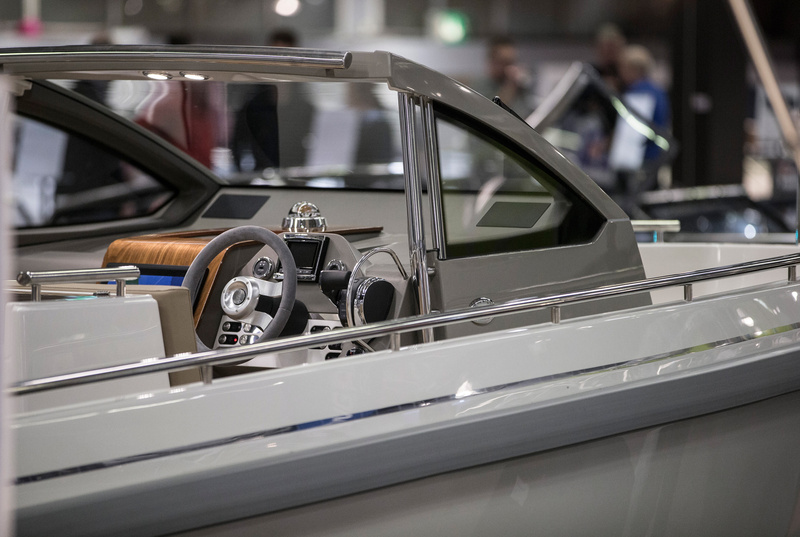 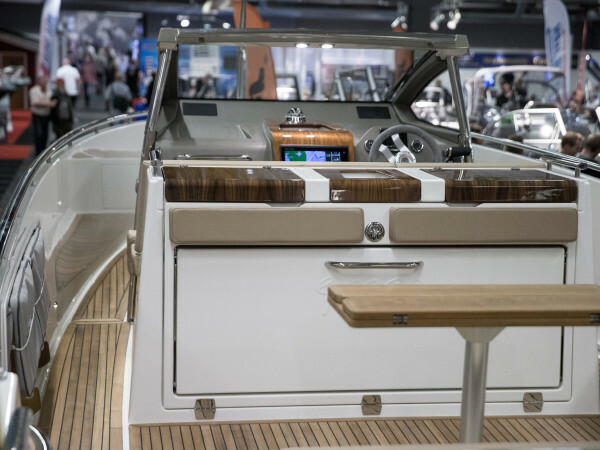 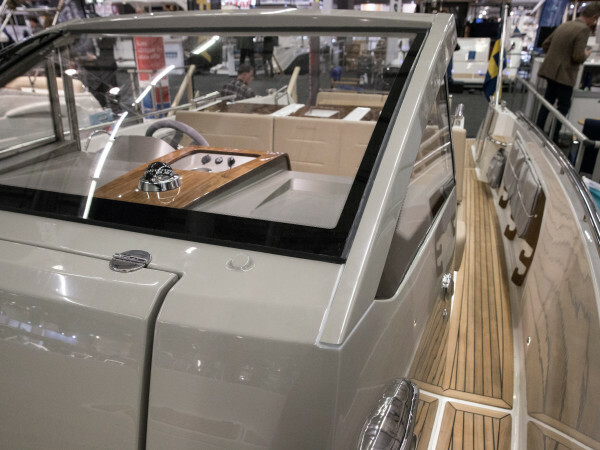 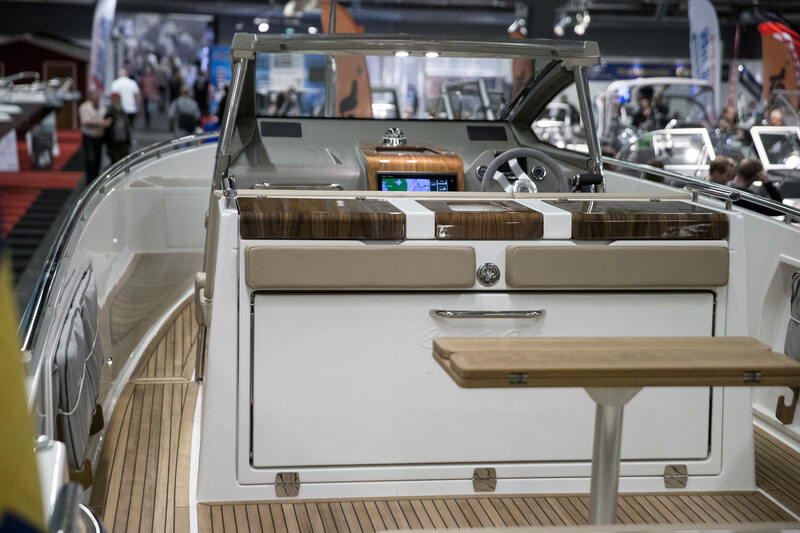 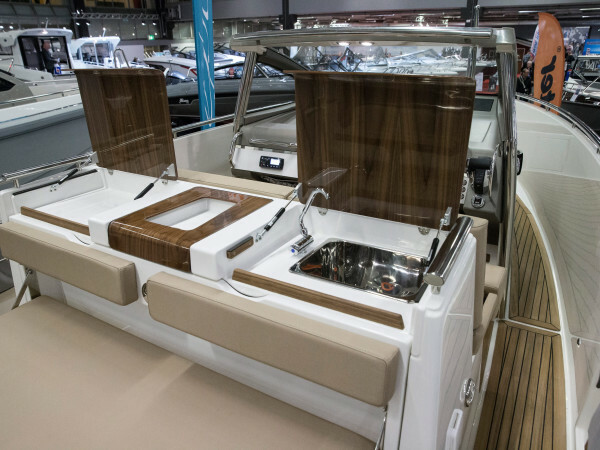 The new Epoca Open is built withy the same hull as the other models (Sport and Coupé), but with an entirely open cockpit and offering generous amounts of room for all summer activities. 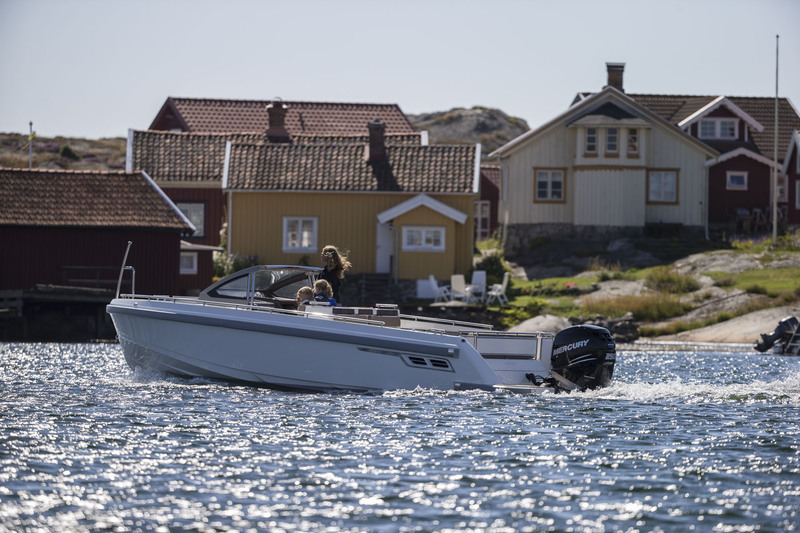 The Epoca Open is designed as a sporty, functional day-boat with room enough for the family and friends and all kinds of activities. 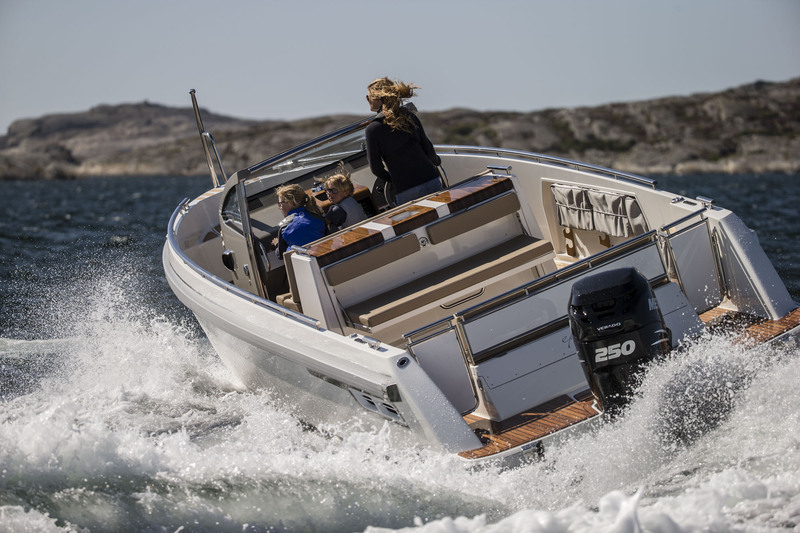 Like its sisters, the Epoca Open has a functionally designed helm environment with centrally fitted plotter. 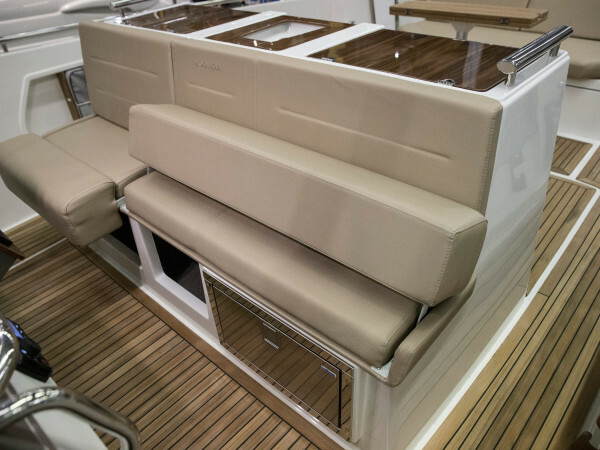 Separate and roomy head with stowage space. 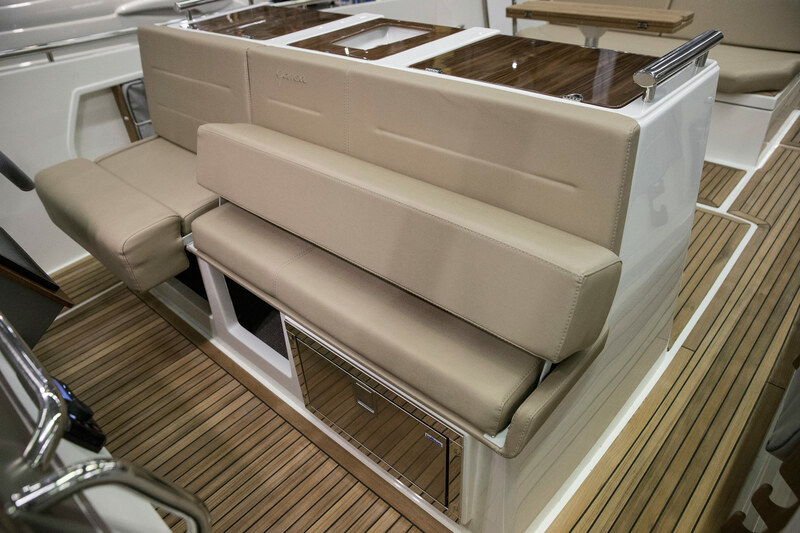 Centre module with folding sofa bench, stowage, fridge and washbasin. 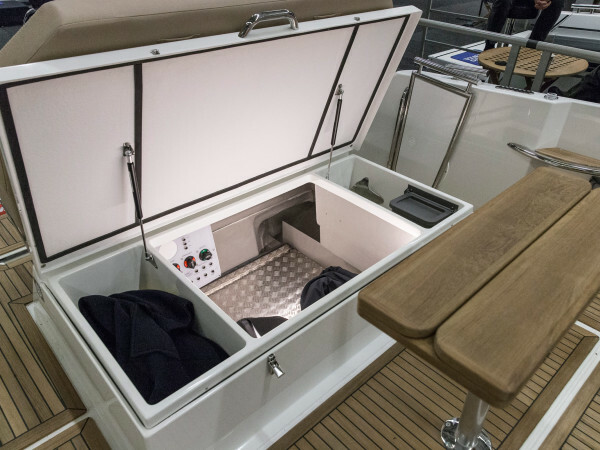 Extra roomy aft stowage with room for cushions and luggage. 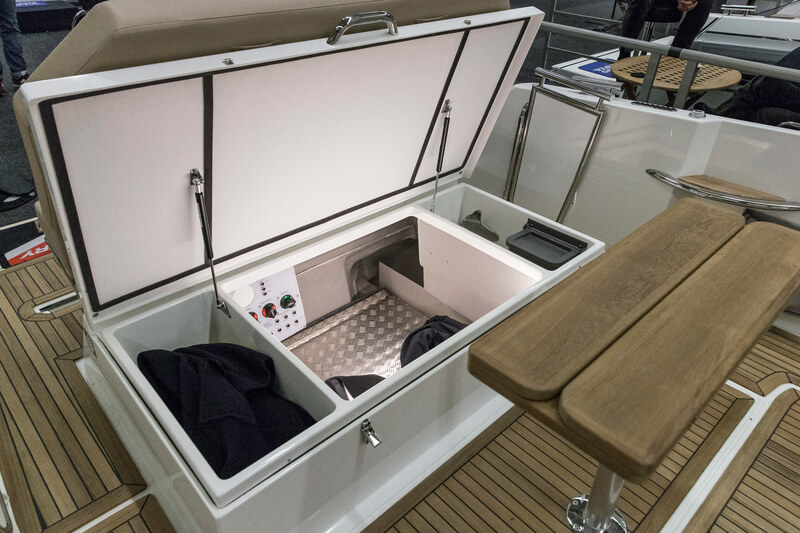 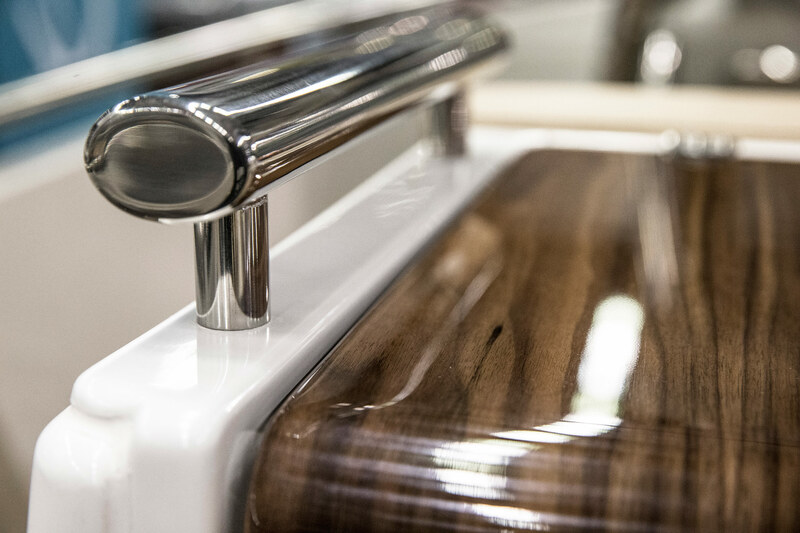 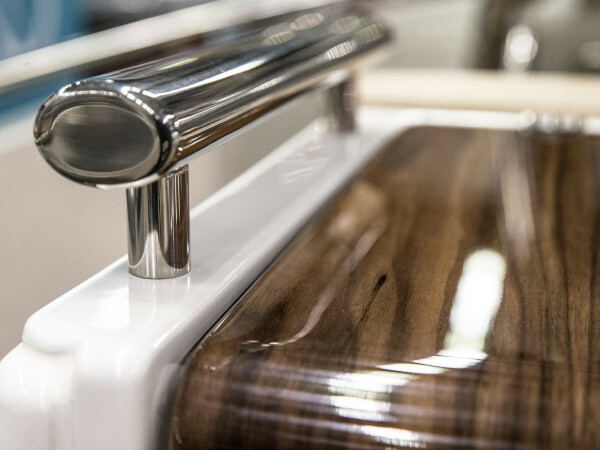 The large outside bathing platform is easily reached via two stainless steel gates providing safe and secure access. 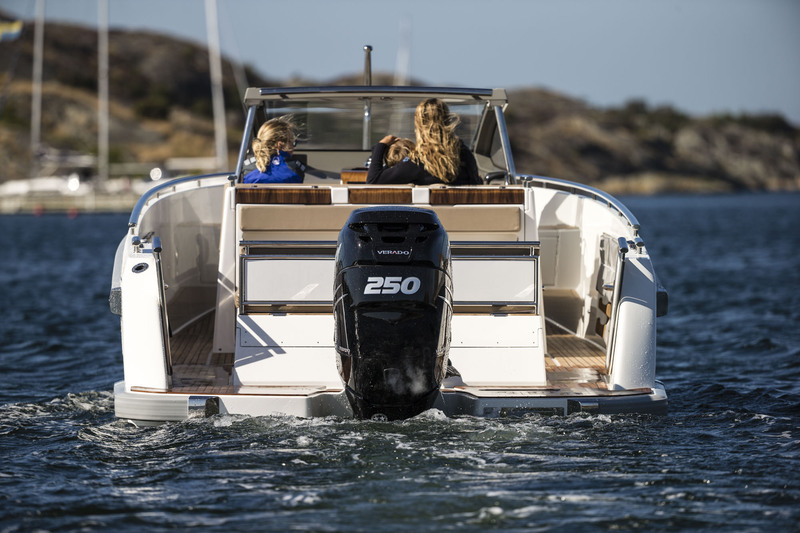 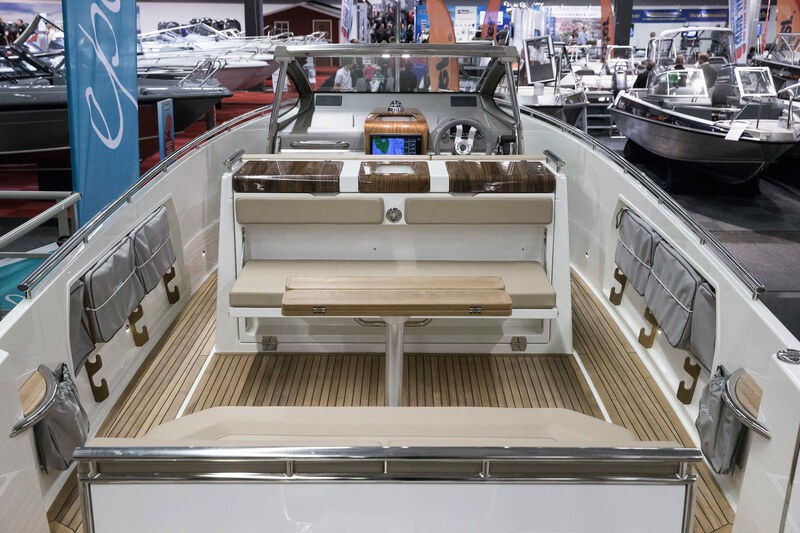 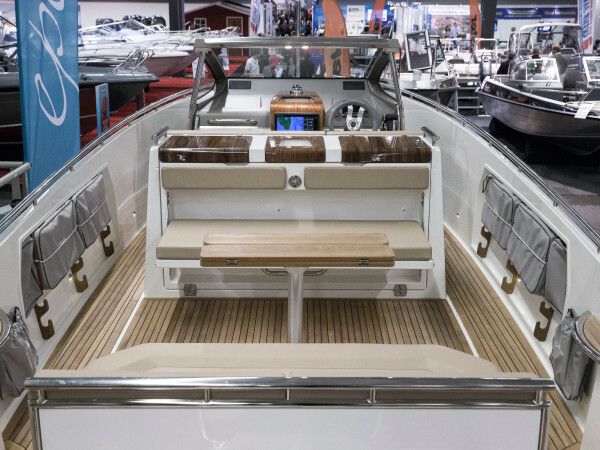 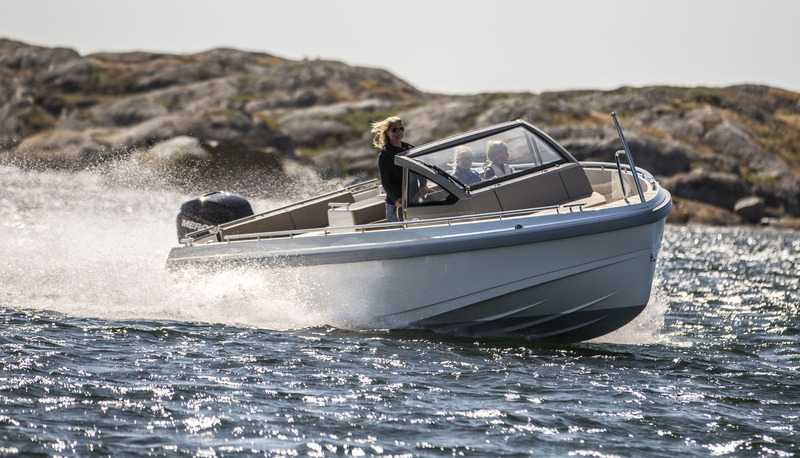 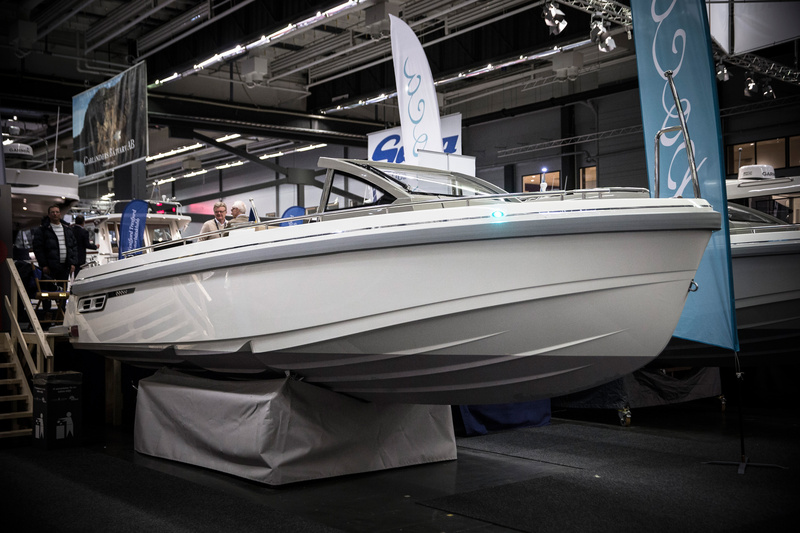 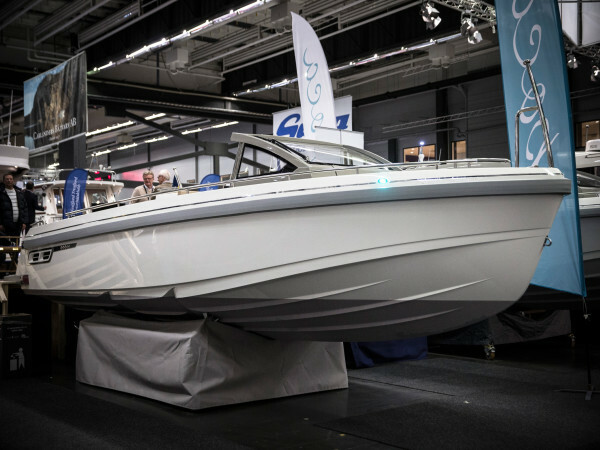 The Epoca Open is equipped with a Mercury outboard engine, models ranging from 200 – 250 hp. 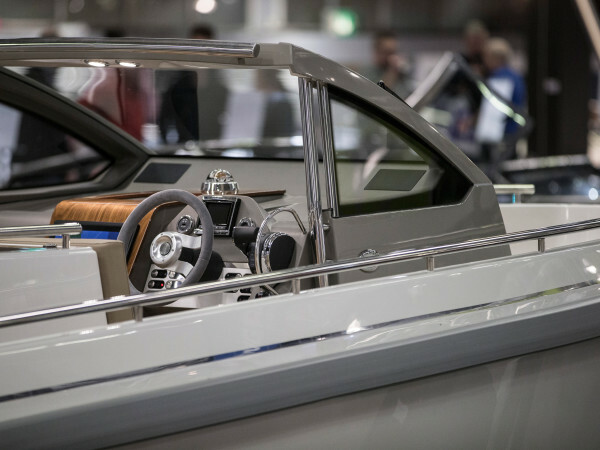 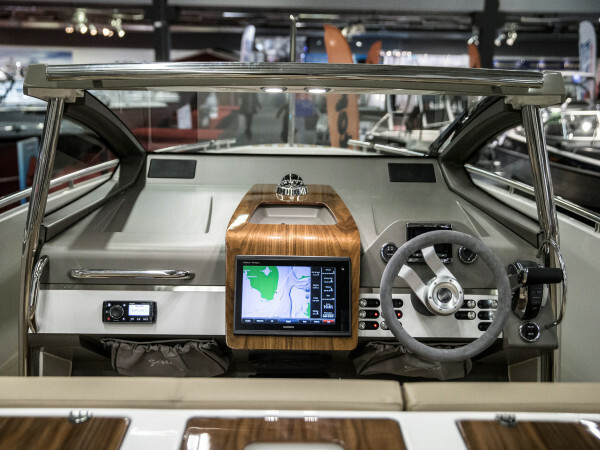 The boat can be fitted with a large, opening canvas roof in the same design as that incorporated in the Epoca Sport.